A Kevin McHale personal appearance, Kevin McHale speaking engagement, or Kevin McHale endorsement will reflect well on your company. To hire Kevin McHale now for any corporate appearance, fundraiser, motivational speaker event, personal appearance, autograph signing, or website endorsement please contact our celebrity agents at 1-877-6-SPORTS. We will contact Kevin McHale or contact Kevin McHale's agent and provide you with the booking fees and availability immediately upon your request. Direct Sportslink is the only sports speakers bureau and talent booking agency based in the United States securing only sports talent for corporations, associations, and organizations for motivational speaking engagements, personal appearances, and endorsements. 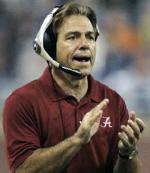 We are the premier sports celebrity booking agency and a sports celebrity procurement expert. Accordingly, we will provide you with any relevant Kevin McHale website information and booking agent details so that you can hire Kevin McHale for your next event. McHale spent 13 seasons in the NBA, all with the Celtics, where he was a three time NBA Champion, seven time All Star, and the NBA Sixth man of the Year twice. 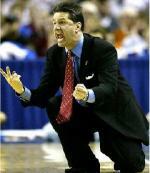 After his playing career, he worked for the Minnesota Timberwolves as the team's general manager and later its coach. 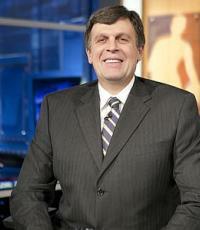 McHale worked as an analyst for NBA TV and Turner Sports in 2009. McHale's number 32 jersey was retired by the Celtics on January 30, 1994, during a halftime ceremony at the Boston Garden. He was chosen one of the NBA's fifty greatest players and was named to the NBA's 50th Anniversary All-Time Team in 1996. McHale was elected to the Naismith Basketball Hall of Fame in 1999. In 2011, McHale became the Head Coach of the Houston Rockets. Based on your interest in Kevin McHale as a speaker or for a personal appearance, Direct Sportslink has provided you additional links below for other sports talent with similar appearance fees, speaker topics, and categories that match Kevin McHale.